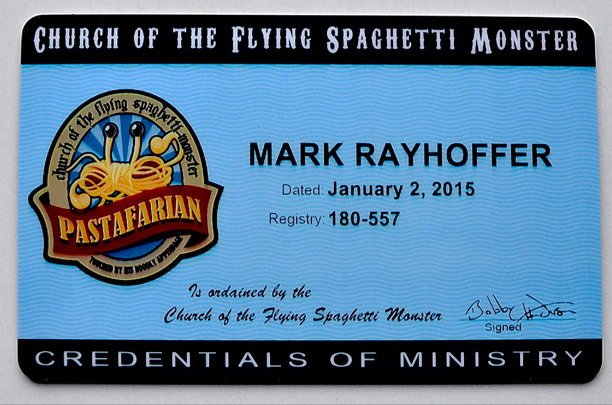 Would you like to be a Pastafarian Minister? 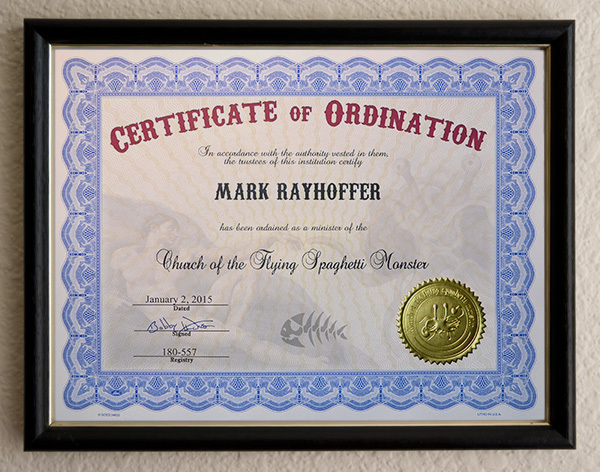 Paper Certificates of Ordination with embossed gold foil seals are now available for $25 and includes free shipping anywhere in the world. 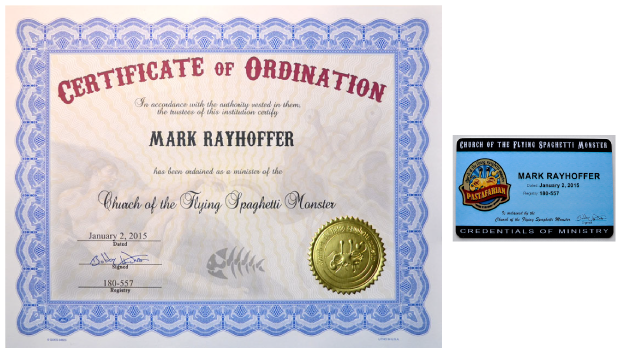 These credentials suitable for presiding over social ceremonies such as marriages and baptisms, performing last rites, casting out false prophets, performing exorcisims and so on. 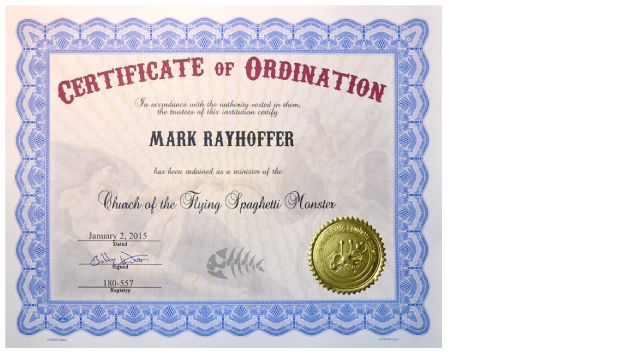 Your name will be added to the offical registry of Ordained FSM Ministers. **NEW** We now have PVC Wallet ID Cards available for an additional $15, including shipping anywhere in the world. They are printed with a high-end ID card printer. * The cost for the paper certificate and the wallet card is $40 USD. * The cost for only the paper certificate is $25 USD. Be sure to fill out the Name on Certificate field, and then press the Buy Now button. You'll be asked for shipping details during checkout. Production time is about 3 days. Note -- Digital PDF copies of the credentials will be delivered same-day. 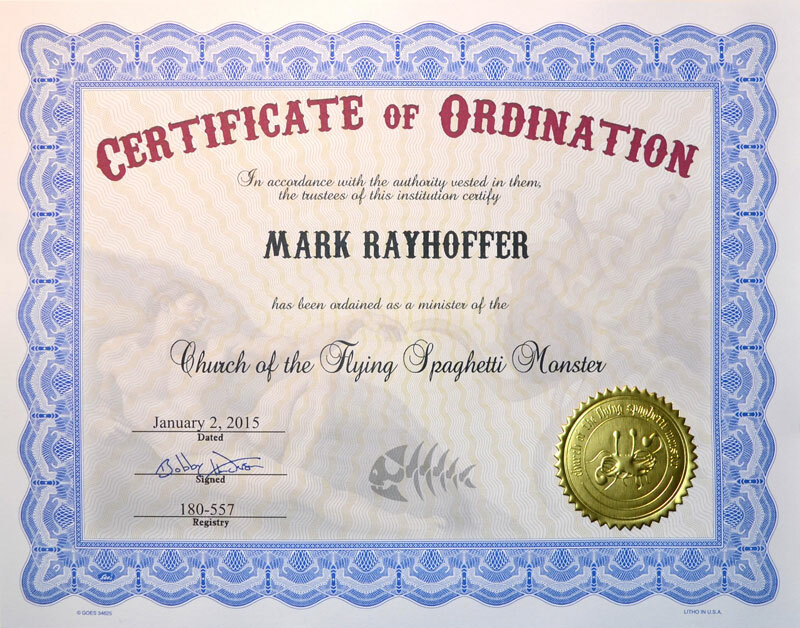 Back to the Church of the FSM.